The 2017 Kia Sedona doesn’t just have a gorgeous exterior design and a high-tech, comfortable interior—it is also now one of the safest minivans in the segment. 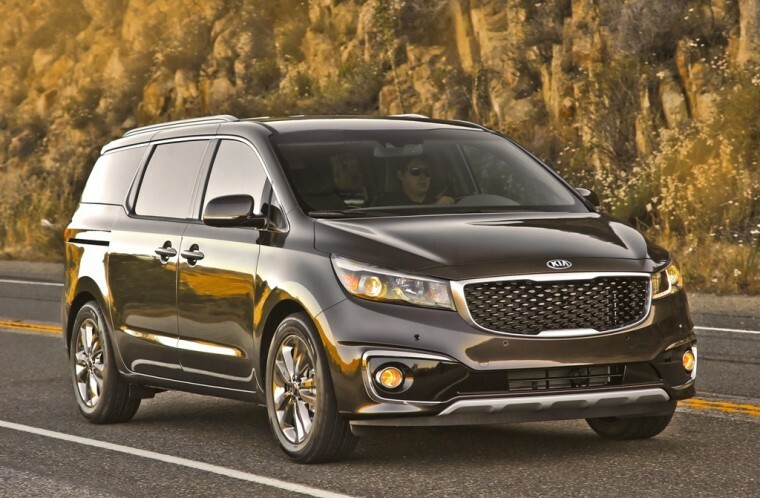 Kia’s newest minivan recently received the best safety rating possible from the Insurance Institute for Highway Safety (IIHS) when it was awarded the Top Safety Pick+ title. This title comes after the addition of the brand’s new Autonomous Emergency Braking system, which warns the driver of an impending forward collision and applies the brakes if no action is taken. Kia’s newest safety award is impressive, especially because of the IIHS’s newest testing standards. To receive the Top Safety Pick+ designation, a vehicle must earn “good” ratings, which are the highest possible, in five crashworthiness tests. These tests include a small overlap front, moderate overlap front, side impact, roof strength, and head restraints. The vehicles also have to earn an “advanced” or “superior” rating for front crash prevention. Because of the Sedona’s available Autonomous Emergency Braking system, it did this with ease. The Sedona’s new Top Safety Pick+ title is an improvement over its safety rating from the IIHS last year, which was only Top Safety Pick. Along with this new TSP+ title, Kia’s minivan also earned a five-star overall crash rating from the National Highway Traffic Safety Administration (NHTSA).